One of the ways that engineers learn about material behaviour is to study material failure. Arguably, the avoidance of material failure is one of the main responsibilities of a civil engineer. Once-upon-a-time student engineers would have studied how materials behave in the lab. But these days, as labs get shut down to enable a greater rate of return for university estates departments, students get fewer chances to learn about how materials actually behave. Many students turn to online resources to find out what they would have seen in the lab, but what’s available is of highly variable quality. It is in this context that in 2010 we started to build Materials Lab Online, a collection of definitive high-quality videos that seek to capture material failure with the same degree of clarity as those famous photographs from the 1950s of fluid behaviour familiar to anyone who has studied fluid mechanics. When creating these films, we pay special attention to lining up the right shot, removing any distracting objects from sight and tuning the lighting to achieve a clear and unambiguous view of material failure. Materials Lab Online first appeared in 2010 as a section on Workshed. The first set of videos were shot with the support of UCL in 2010. Then in 2011 we received a significant grant from CONSTRUCT to create a suite of videos on concrete failure. Most recently in 2014, we received a substantial grant from the Institution of Civil Engineers’ R&D Enabling fund to create 20 new films in partnership with Imperial College Department of Civil Engineering. 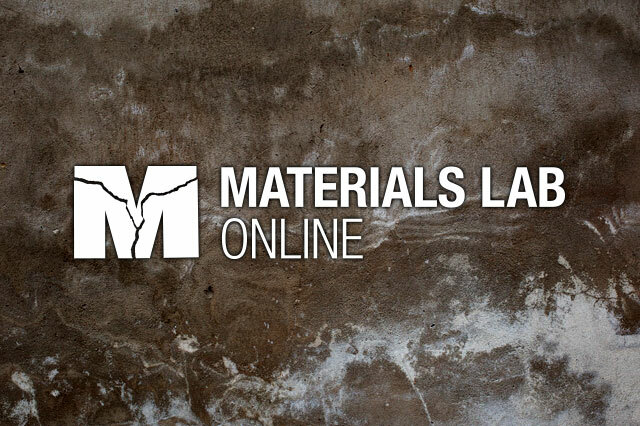 The Materials Lab Online has grown so much that in 2015 it will be given its own dedicated site.